Почему Вы покидаете прошлое место работы? Не являетесь ли Вы слишком опытным для данной должности? Не занижаете себе планку? У Вас достаточно опыта, чтобы работать на нас? Стоит ли сразу поднимать вопрос о размере зарплаты? Что еще ожидать на первом этапе собеседования? DENISE: Hi there, I’m Denise Richardson. And this is howdini.com. If you wanna learn how to ace (зд. : заработать очки на собеседовании ) a job interview, stay tuned. We are about to talk about it with Maggie Mistal, who is a life purpose and career coach, who can be heard regularly on Martha Steward Living Radio on Sirius. Thank you so much for being with us. DENISE: You show up with your dress properly. You walk in to meet an interviewer. What is the first thing you do when you walk in? MAGGIE: I love to smile. And obviously I think you can tell by that (можете убедиться сами). But I like to make the interviewer just as at ease as I’m trying to be. Because really, this interview is a conversation that you are gonna have with this other person who is a human being and it can be a real ice-breaker (a thing that serves to relieve tension between people), if you can be relaxed and at least give yourself a break to say “Hi, how are you?” And even try to talk about the weather or some type of ice-breaker that kind of gives everybody the chance to take a deep breath because this is an evaluative conversation and it can be nerve-wracking for both parties (сторон). MAGGIE: Yes. That’s always a great question, isn’t it? And you have to be prepared for those key questions. Especially, “Why are you moving on?” Now, if you are moving on because you can’t stand your boss, right? Which happens a lot and we’ve all been there. You don’t wanna say that! What you do want to say is that I really need to be in a place where I can be managed and developed and where I can get guidance or mentoring. You really focus on the things that you are looking to get as opposed to all the reasons why you don’t have it now. MAGGIE: You can say things like, “Well, I’ve, you know, I’ve really thought about that and if I were in your shoes (если бы я была на Вашем месте), I’d be asking the same question. And when I think about it, I can tell you for a fact, I’m looking to downshift (переходить на должность ниже, брать меньше ответственности), and I know this industry well, and I don’t need to be in charge. I’ve been the person on the totem pole before and I can do that again. I’m really looking for a place where I can contribute but where I don’t have to be the one who’s running the show. And really adress those concerns which are behind the “overqualified” comment. MAGGIE: Oh, for folks who are just starting out maybe a new career or college students who just graduated or even folks out of high school are new to the work world that’s a common problem. So again I go back to, “internships are great,” anyway that you can get some experience on your resume to demonstrate, “Hey, yeah, I may not be, you know, 10 years in this field, but I can tell you in this… this experience that I had this summer, I didn’t know anything going in and here is how successful I was.” You want to show situations where, yeah, you went in without a lot of experience but were still able to succeed (добиваться успеха). And this is where references (рекомендации) can be so helpful as well. Even if you don’t have a lot of experience, anybody can be a good reference for you. Even a teacher, or a professor, or even, um, someone that you volunteered for, who can attest your ability to learn quickly and perform well can be a great asset. It’s such a trick question. MAGGIE: Oh, it is! And for that question you definitely want to do your homework. This is one of the best uses for the internet. 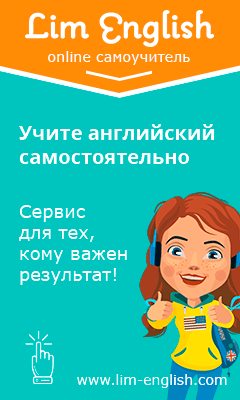 Salary.com, Indeed.com, Monster, Hotjobs, a lot of them have salary calculators (калькулятор зарплаты) associated with now. So you can look up the job title in your geographic area, and get the range of salaries for that position. And find where you would fit based on your level of experience. if the interviewer hasn’t brought up the word “salary”, should you? MAGGIE: Not right away. And in the initial conversation, you want to get to know whether or not this job even is a good fit. And I always tell people: Become the superstar to this person first, and then you are in a much better place to negotiate salary. And they may even pay more for you because they are like, wow, we can’t let Denise go. She’s such a fabulous candidate. We are only going to pay this much but now that we’ve found Denise. We are willing to do more. and vice versa for the interviewer and if it is a place you can see yourself in, do the… do really be your best self and really let them know why you’d be a fantastic fit. DENISE: But we’re certainly happy to have you with us. Thank you so much Maggie Mistal.